FAQ's - Boat Transportation Information. Let Showroom Transport move your boat safely with the proper equipment and truck. Our Boat and Jet Ski Transport Services. Frequently Asked Questions and our Answers. Question: Does my boat or Jet Ski need to be on a trailer in order for you to transport it? Answer: Yes it does. We only can ship your boat or jet ski if it is on a trailer. Question: Will my boat or jet ski be insured while in transport? Answer: Yes it will be insured while in transport up to $100,000. If your boat is worth more than that, please advise us before setting up the order. For further information see terms and conditions. Question: Should I have a boat cover placed on my boat for shipment. Answer: If your boat cover is specially made for transport, then it is ok. Most boat covers are not made for transport and will do more damage than good. If the cover starts to rip from transport winds and cross winds, the boat cover will slap against your boat causing scuff marks all over it. Question: Should my boat be shrink wrapped for transport? Answer: If you have your boat shrink wrapped for transport make sure it is professionaly done. In some cases the shrink wrap comes apart during transport and causes more damage than good. Question: What is your time frames for pick up and delivery. 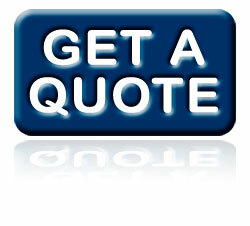 Answer: We guarantee pick up within 7 business days from the day it is ready. Once it is picked up your boat or jet ski will be in route to its destination. If your require a specified pick up date, please advise our sales associate. Question: Is your company licensed and bonded? Answer: Yes, we are federally licensed, insured and bonded. Our federal license number is: MC334294. 800-462-0038. The best times to call us is 7am-midnight 7 days a week. Showroom Transport will proudly arrange the transport of your boat anywhere in the continental USA. If shipping to Canada, we will meet you at any US/CN Border. Need to have a boat on trailer moved anywhere in the USA? We can move it FAST! We will pick up your boat or jet ski(s) on a trailer from where it is located and take it to where it needs to go. Why do it yourself? Let us safely deliver it for you fast! Boat on a trailer (up to 11ft 6 in wide as long as it's on its own trailer) NO LICENSE PLATE NEEDED. NO REGISTRATION NEEDED. WE HAVE OUR OWN TRANSPORT TAGS. 3 most popular reasons people use our service. 1. Just purchased a boat online in another state and it is more cost effective to hire a company to deliver the boat. 2. Moving to another location and do not want to go through the hassle and stress of towing it. 3. Going on vacation and need someone to tow boat to the vacation area. Your boat or jet ski MUST be on a trailer for us to transport it. Showroom Transport arranges for the right carrier to haul or pull your boat or jetskis. .We can haul or tow your boat or jetskis as long as they are on a trailer..
We can even simply hook a truck up to your boat or jetski on it's own trailer and pull it wherever you want us to! Canvas covers must be removed as they will tear or fly off during transport. Canvas covers tend to flap in the wind, damaging the boat. If they are not removed, the carrier cannot be responsible for damages. If shrink wrapped, and the shrink wrap becomes un-repairable, it will be removed to avoid damage from the shrink wrap beating against the boat. The carrier will not be held responsible.